It was a terrible illustration for those who volunteer for lifeboat duty of just how dangerous the job can be. The legacies of 16 men killed in a north-east helicopter crash have been remembered with the naming of a new lifeboat. Lifeboat crews alongside paramedics are currently on route after an emergency call was made to an injured person on Knoydart. The RNLI team received a call of a person injured at around 12.27pm today. Ambulance paramedics are being transported to the person by the lifeboat team. More to follow. A teenager was rescued from Thurso Beach last night after falling and becoming trapped in rocks. A rescue crew was sent from Loch Ness Lifeboat Station shortly after 11pm tonight. Two women aged 22 and 36 have died in a tragic incident at Aberdeen esplanade. 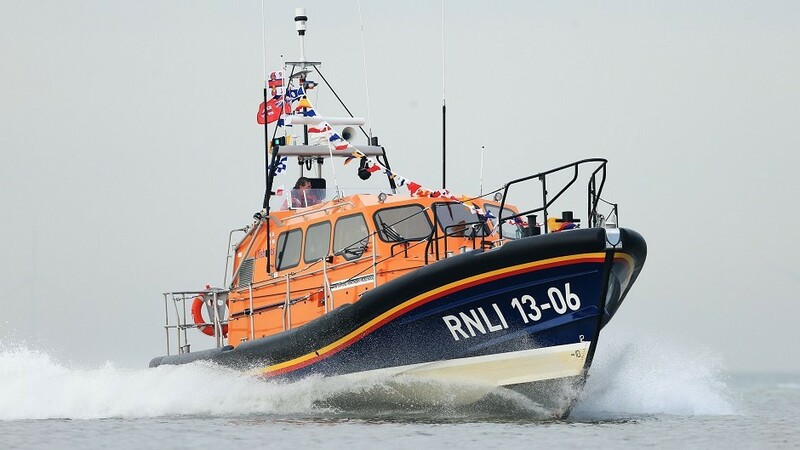 A crewman from a floundering fishing vessel near Barra was rescued by two passing vessels and a lifeboat this morning. Members of a north lifeboat crew were called to an injured woman only five minutes away from its base - at the same time they were being presented with a cheque for its work. Police have been joined by the coastguard and firefighters in the search for a missing pensioner who has dementia. Tributes have poured in for the founder of the North Kessock RNLI branch after her death at the age of 102. A 22-year-old female student was rescued by a coastguard rescue team and the RNLI lifeboat from Oban yesterday afternoon after falling whilst out climbing with a group and suffering a leg injury. A north-east man has died after spending almost an hour in the icy North Sea. A “poignant” fundraiser for north-east lifeboats, organised by a woman who lost her only son in a North Sea helicopter disaster nearly ten years ago, raised £40,000 at the weekend. An eerie silence fell over Hoy in Orkney yesterday and flags at lifeboat stations around the country were lowered to half-mast as eight crew members of the tragic Longhope Lifeboat disaster were commemorated after half a century. A village is to mark 50 years since a lifeboat disaster which devastated the small community. Poignant commemorations are to take place in Orkney to mark the 50th anniversary.